We're half way through the summer and I am dying to throw an outdoor dinner party. 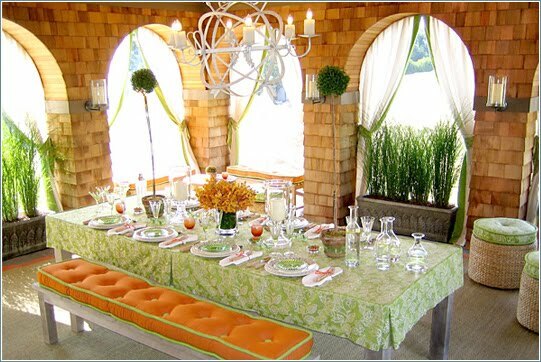 Hopeful to do so by the end of the summer, and implement a few of these beautiful inspirations to my very own soiree. LOVEEE the 2nd pic with the rustic wooden table and votive candles!!! sooo chic!! !